This goofball above is me, Brittany. I am the raw, real person behind this site and brand. Sharing all my love and creativity with you. Walking my path and speaking my truth. I am SO happy you have found my site. Clearly you’ve come to this about section seeking more about the person behind the scenes. So I will let you in a quick inside-look. I started my career as a wellness coach. My degree is in exercise science and I spent a decade training kettlebells, weighing people, and teaching how to cook. These are all great thing and I learned a lot. And I miss training, especially the teaching aspect. I miss teaching cooking classes (and I will get back to this, it’s in my long-term goals). However, this kind of lifestyle can lead to big struggles too. The continual feeling like you are being judged for your body. Living each day focused on what you’re going to eat (or the lack there of). Your happiness wavering, depending on the numbers on a scale. I loved it, but it also messed up my relationship with my body and food. I never felt like I was good enough. I created stress about eating, which is counter-productive to what striving for a healthy life is about. It has been a long day-by-day journey, to get back to self-acceptance. To taking away the stress of body image. Of self-acceptance. Loving yourself as you are, embracing the flawed, imperfect version of yourself, takes courage and boldness. I think my husband was a big part of helping my recovery. He is always so good at not just encouraging me, but asking the right questions. I stopped consuming my thoughts with what I was eating and how I looked. And focusing on my life, on my happiness, has brought me more joy. It’s made me healthier and lighter. Balance in life is key. 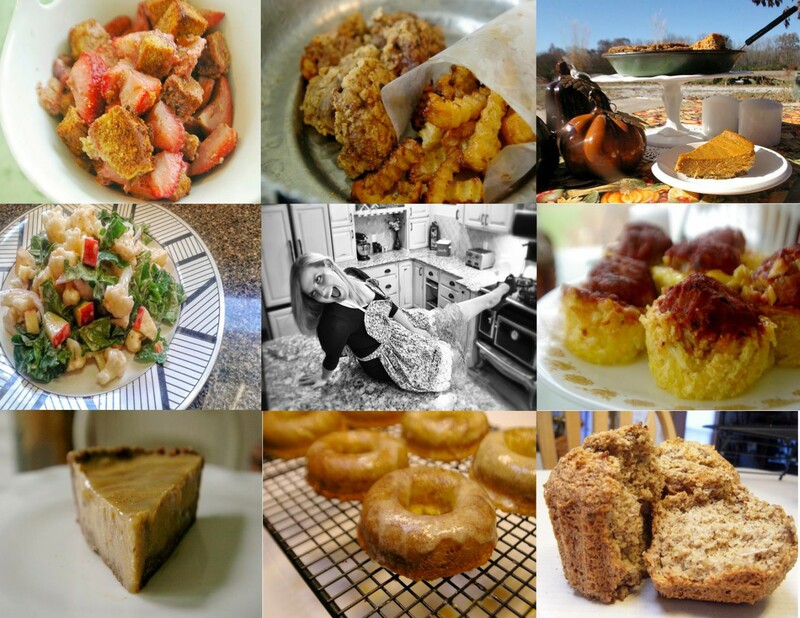 This blog, site and the recipes are part of my recovery. I love to cook and create. I have always been an artist, and baking and cooking have become my creative expression. I have fun with foods. And I love sharing them with other people. Moving onward to fun facts……. I believe in positive thinking. That we are all beautiful and unique. I even started a photo and interview project with my cousin asking women about beauty and when they feel most beautiful. Meet and love people where they are. I love people and I come from a big crazy family, I live for my people and being present with them. And I love all of you, today, wherever you are. I am a Christian and my faith saves me. I believe in the power of prayer. And I believe in love being our greatest message. And I am so unbelievably grateful for all the blessings in my life. I yearn to travel and explore. I crave this more than food sometimes. I am drawn to the woods and trees, whose canopy seem to cut out the drama and everyday worries. I am completely blissfilled in a car riding shot gun next to my husband, map in hand, National Parks pass in the window, car packed with camping gear, mountains in front of us, on our way to someplace new to experience God’s beautiful creations. And baking of course. That’s why you’re here. It’s my creative outlook. Pies because I love the rustic feel of them. The tradition. How artful they can be. Beautiful and stunning. Plus they taste good. And pizza, because everyone loves pizza (and my mother craved and loved Italian food, when she was pregnant with me). Also I am a dog person. I love them and they are drawn to me. My husband jokes that our dog loves me more. But for over a decade my goals were to be like those couples on the trail, toddler strapped to their fronts, flanked by dogs. It is amazing how life can fulfill your dreams (I am 2/3 of the way there). I just wanted to say you have one of the best about pages I’ve read, not sucking up here. You are to the point but also show great voice and character- I’m happy I found you! I went to Body Change & was taught by your mom. I would love to meet you & buy some baked goods. It’s hard to find others that don’t want processed foods & that actually take care of their bodies. I would love to see someone open a paleo/ non- processed/ clean foods Resturant somewhere near Terre Haute. I have thought about this idea but I am not a gourmet chief, but would love to venture into a buisness to help reach others & spread the word how to take care of our bodies by better food! Hope to see you this Saturday at the market. Thank you for your beautiful comment! Hope I didn’t see you st the market and not know I full-heartedly believe in bringing good foods to the community, especially after going to Colorado, where it is prevalent. I really hope we can connect.